The salty, high-fat and processed foods we eat contribute to our declining immune health. 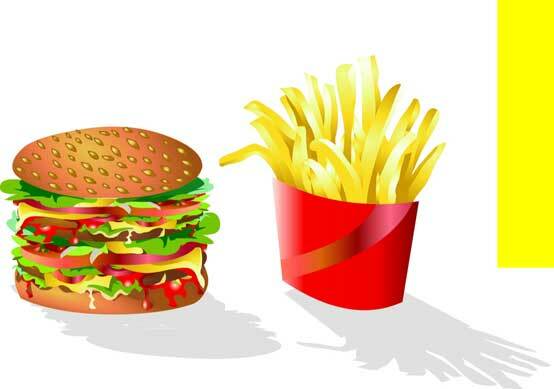 There is quite a lot of material out there about the link between bad diets and diseases. The “Western Diet” namely the diet that we in the West mostly subscribe has been described as one of the most toxic diets to a properly functioning immune system. Although we’ve reduced death rates from infections which was the main cause of death in previous generations, now metabolic and autoimmune diseases thrive and are the main cause of death for Westerners. More and more recent research is showing the link between what we call the “Western diet” and the prevalence of autoimmune diseases. What is a “Western diet”? A Western diet is a diet that includes high-fat and cholesterol, high-protein, high-sugar, and excess salt as well as a large and frequent consumption of processed and “fast foods.” These not only bring about obesity and heart problems but as mentioned, they may also bring about autoimmune diseases like Crohn’s, ulcerative colitis, certain kinds of neuropathy and other diseases like some forms of dementia. In fact, your environment may be just as important as your genes when it comes to autoimmune disorders. Diet affects people in many ways. One of the major critical points of the “Western” diet is that it promotes harmful bacteria in the gut which leak substances in the body that provoke autoimmune responses. We have also seen that good bacteria (from healthy foods) can have the opposite effect. If you are suffering from an autoimmune disease, take a careful look at what you are eating, it may be that it is making your sickness worse.